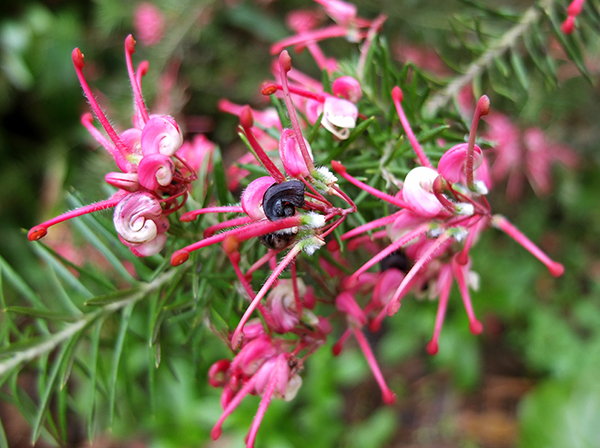 I've got some gorgeous photographs of my Grevillea shrubs to show you. 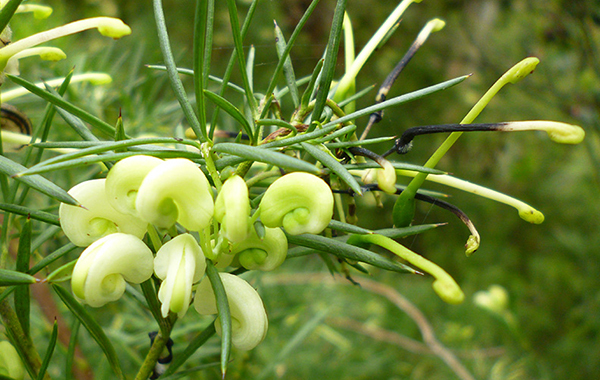 Grevilleas are tough and quirky Australians, with the cutest whorls of flower colour. 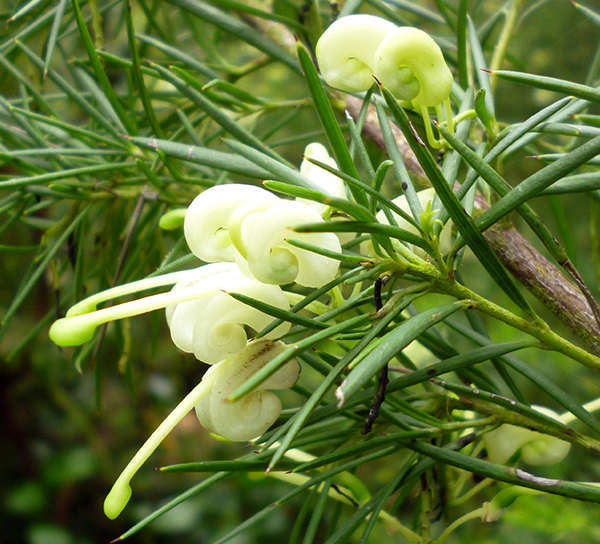 The shrub's leaves are needle-like, and a tiny bit prickly-tickly. Two shrubs with lemon yellow flowers have always been here in the garden. A few years ago I rescued a couple of red flowering ones from a bargain bin sale at the nursery - their variety is unknown. There seem to be lots of beautiful cultivars to choose from, with different coloured flowers - reds, apricots and yellows. Over 350 species are endemic to Australia (thanks, Wikipedia). These super-tough shrubs are drought tolerant (I've proved that in my garden). The word many nursery catalogues use for Grevilleas is 'tolerant' - an excellent characteristic for a shrub in my garden! Except they dislike being fertilised.